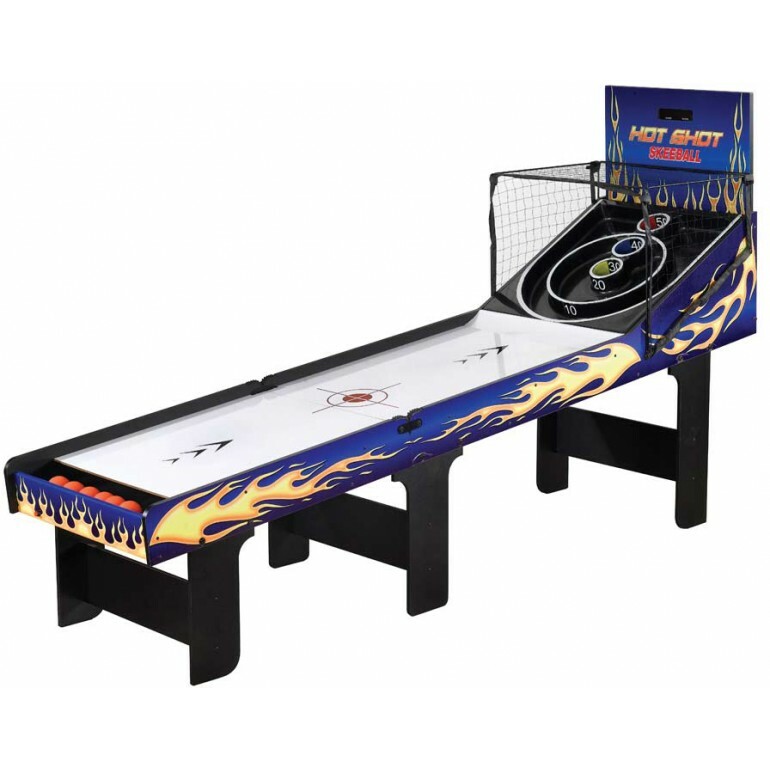 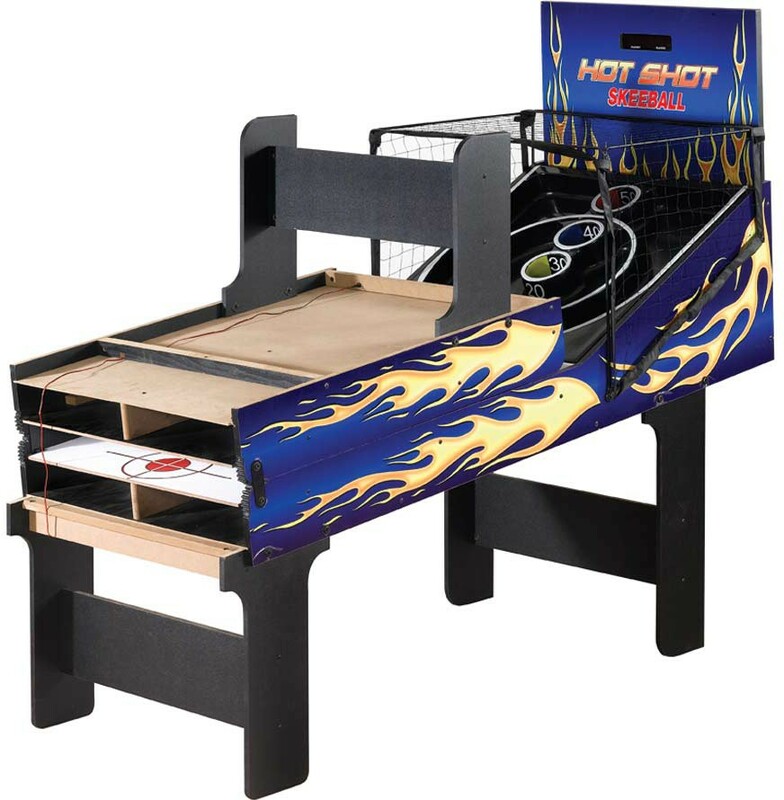 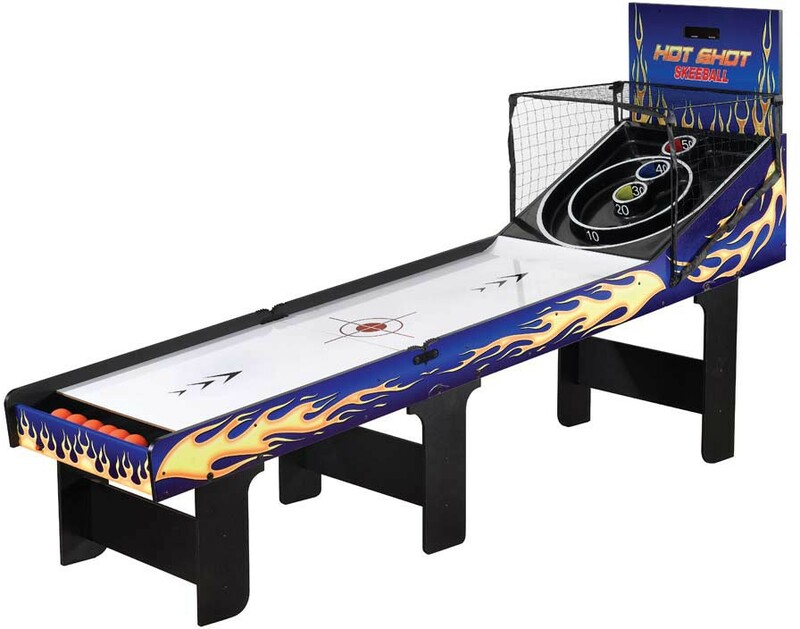 The Hot Shot skeeball table is crafted from CARB-certified, heavy duty MDF material designed to withstand the most vigorous play. 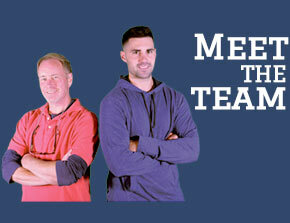 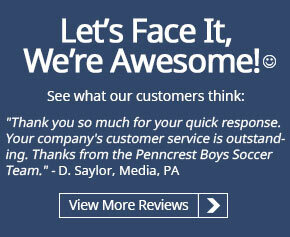 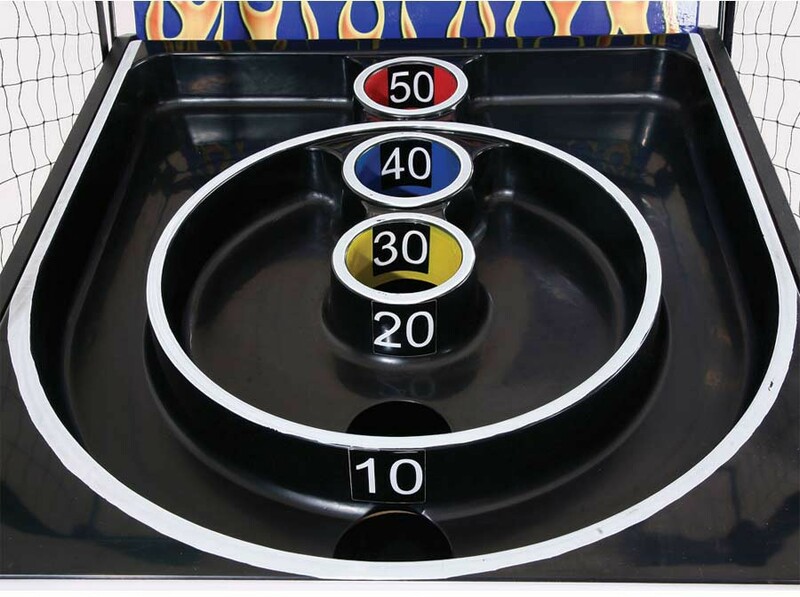 The electronic scorer keeps a running tab on who’s winning, heightening the level of competition. 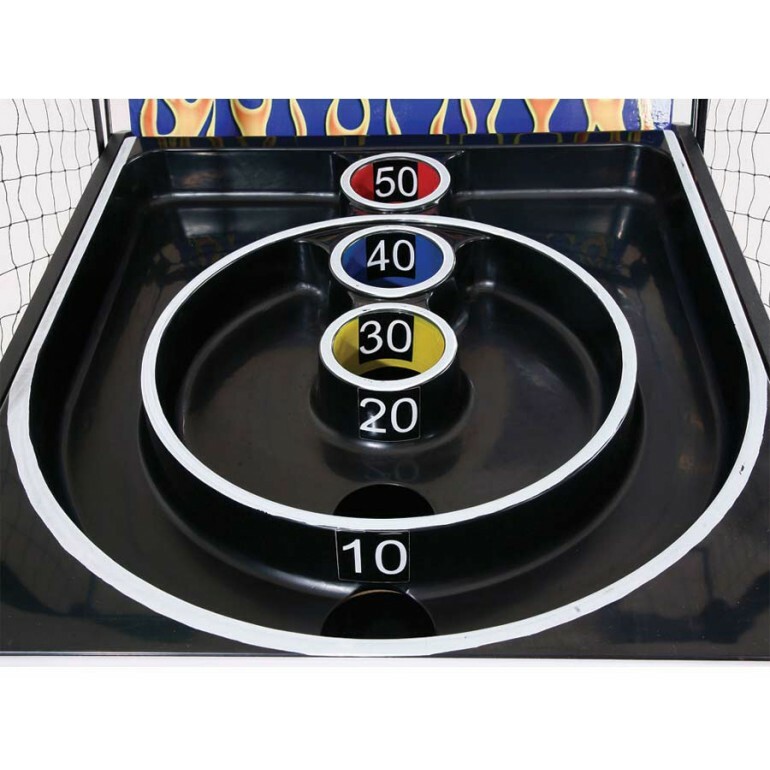 A safety net encloses the target board to keep balls in play while protecting spectators and furniture from the occasional miss-roll. 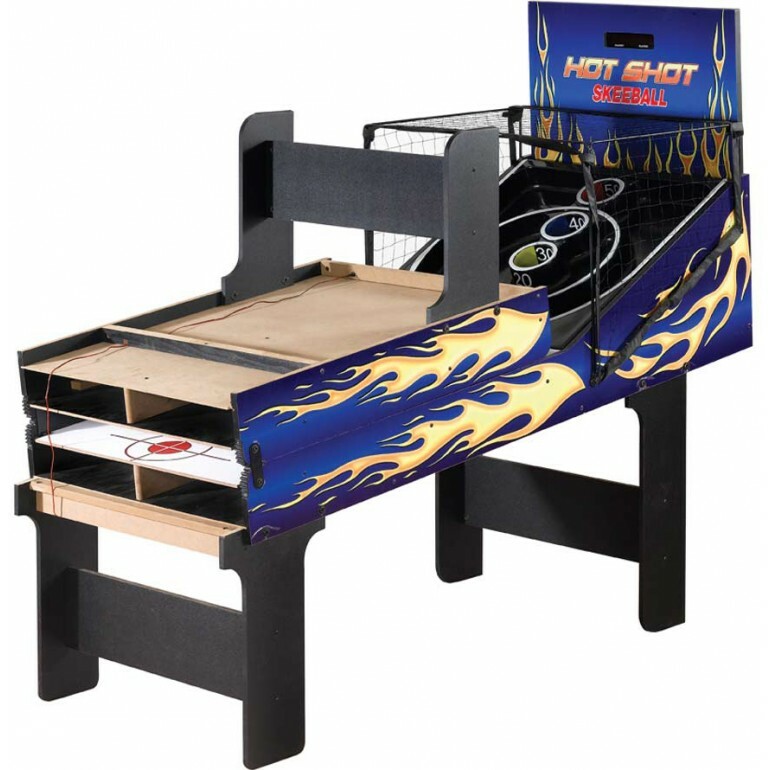 The Hot Shot is a classic arcade game that will bring back old memories while creating hours of new fun and enjoyment!